Made for use with pencils or charcoal, this 50 lb (74 gsm) paper is an economical option for the beginner or student. 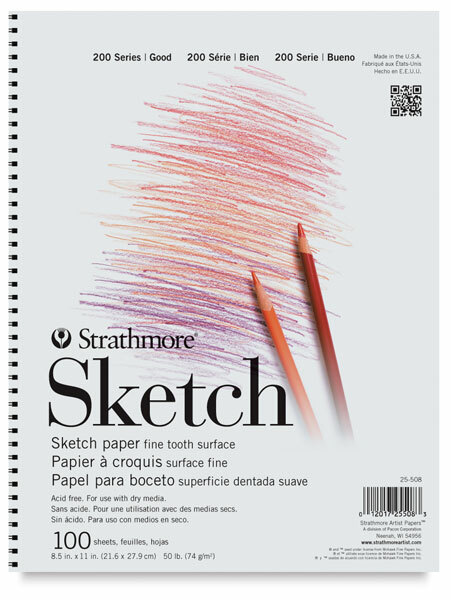 With its sturdy chipboard back, this acid-free pad is great for on-location sketching. Wire bound pads feature actual size sheets when pages are removed at the perforation. The 8½" × 11" pad is wire bound on the side, the 9" × 12" pad is tape bound on top, and the 11" × 14" pad is wire bound on the side.